A very interesting new plant added to the range. 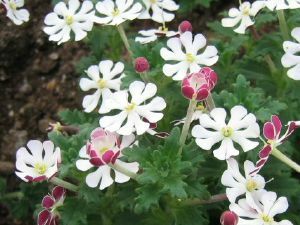 Zaluzianskya ovata is a lovely new highly scented plant, commonly referred to as Night Phlox. These plants come originally from the Drakensberg Mountains in South Africa and seem to have reasonably good hardiness in the UK. They have dark green aromatic evergreen leaves and brilliant white flowers with red reverses from May until late summer, growing to a height of about 40cm. The flowers curl up in the middle of the day and come out at dusk, with an intoxicating scent at night! Zaluzianskya grow best in sun and in moist, rich well drained soil. Given sharp drainage and sheltered position they will most likely survive UK winters, but grow in pots and protect in colder parts. They look good in rock and alpine and raised gardens. Lunaria ‘Corfu Blue’ - Perennial Blue Flowered Honesty! 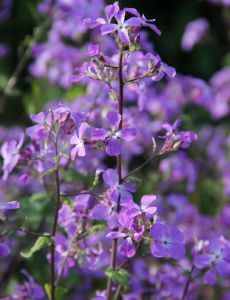 This unusual plant variety is thought to be a form, originating from Corfu, of Lunaria annua, however, Lunaria annua is a biennial and my plants seem to live longer and get much bigger that the typical deep pink flowered plant which is a common sight of garden and hedgerow. In many respects it does the same thing, flowers for some considerable time, then later in the season you notice the ornamental seeds hanging like silver coins from the stems. From these silver coins, you are more or less guaranteed to have some extra plants appearing the following year. The foliage is also different from common Honesty, being less hairy and slightly bluer in colour. Flowers start appearing in April,and continue through until quite late in the summer, followed by the ornamental seed pods. Single plants can attain a height of 90cm and a spread of up to 75cm. ‘You Win Again’ – It is our 25th Anniversary! "Unusually Good Plants" for 25 Years! It was in September 1987 when we started construction of the nursery, which we later named Fromefield Nurseries. The name was given to the land and cottage the nursery is now built upon, which belonged to my grandfather who was originally a tenant farmer on the Marquis of Bath’s estate in Frome, Somerset. There was no nursery here before October 1987, the land was used as a traditional smallholding, but was a more or less a derelict set of outbuildings when we started work to construct the nursery. PlantsToPlant was launched in the spring of this year and marks our next great evolution. October 1987 was notable for two other major events in our history, the Great Storm of 1987, which occurred on the night of the 15th and early hours of the 16th October followed by Black Monday on the 19th October. Fortunately we had only one poly-tunnel and had only just started the construction of the glasshouses at that time, or it could have finished the nursery before it had even started. Black Monday was the start of one of the biggest stock market crashes in history. Those were turbulent times indeed, but we ploughed on regardless. Sadly this year, the world lost a great talent, Robin Gibb, but this week in October 1987 his band The Bee Gees were at number one with ‘You Win Again’, how appropriate! To celebrate our 25thAnniversary we are offering a 25% discount off all plants available from the website. So why not drop in and look at our range. 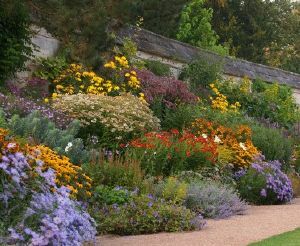 There are some superb plants, which look good even at this time of year. And it is still the best time of year to get planting! Take a look at our new Late Summer Flowering Perennials range, or the new range of Hardy Garden Ferns. We also have one of the largest ranges of Kniphofia (Red Hot Poker). Just enter ANNIVERSARY25 at checkout. The Anniversary Offer ends on the 14th November 2012. Remember - 10 plants or more purchased also qualify for FREE Delivery until 31st October 2012. You lucky people! For this weekend only, you can get 20% off all orders of £10 or more. In addition if you order 10 plants or more, delivery is free to mainland UK. Autumn is nature's planting season, and with plants prices as low as £1.99, you can't go wrong. 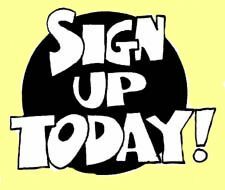 Just enter the voucher code 0912 at checkout to get your 20% discount. Talking of checkout - take a look at our new Late Summer Flowering Perennials Range. An ideal time to plant up for a super show this time next year. 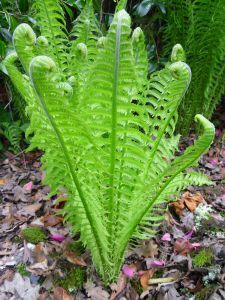 Why not take a look at our range of hardy garden ferns, a great time to plant them now also. Then this is the plant for you. Some 5 years ago I planted Parthenocissus himalayana rubrifolia on the south facing wall of the house close to where our back door exits to the garden. I was familiar with the plant, having seen it many years ago growing in the fabulous gardens of the late Maurice Mason in Fincham, Norfolk. It was my very great pleasure to have met him on a number of occasions. He was a very generous Plantsman, and I always came away with far more than I ever intended. He would say, "now look at this, I have this plant as……. but I don’t know if that is correct or not”, he never made assumptions where plants were concerned. On one such occasion he introduced me to Parthenocissus himalayana rubrifolia, or at least he said "that is what it came to me as”. Now this was on one very sunny late autumn afternoon and the plant was looking stunning with its red and yellow foliar hues typical of other members of the genus, but what struck me more than anything, were the copious bunches of bright blue berries hanging from the branches. I was already acquainted with this vine, seeing it on production lists and in stock on occasion at Hillier Nurseries where I had previously worked, but never had I seen it in its full glory. I eagerly gathered some of the fruit and have propagated the plant ever since. The reason I am writing this now is that over the past week, I have been astounded by the sight and sound of Honey Bees working the flowers, every time I go out into the garden. This is especially so on the sunnier afternoons, when my wall becomes like a hive. As if that were not enough, I am almost intoxicated by the smell in the late evening from the flowers. A delicious scent, reminiscent of a freshly opened jar of honey, and not dissimilar to the scent from the flowers of the Honey Spurge - Euphorbia mellifera though altogether stronger. This also reminds me to remark on another plant with a rather nice scent, this time the perennial Selinum carvifolium, which I discovered quite by accident when I brushed past the plants growing at the nursery recently. A slightly more medicinal tone, but pleasant none the less. Parthenocissus are a genus of Climbing Plants from the grape family, Vitaceae. It contains about 12 species, from Asia and North America. The name is from Greek parthenos,"virgin", and kissos (Latinised as "cissus"), or in English "ivy". The reason is variously given as the ability of these creepers to form seeds without pollination, or the English name "Virginia Creeper". 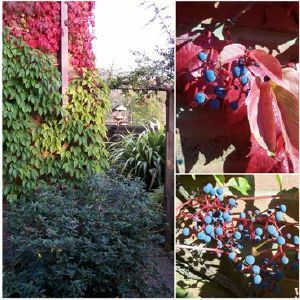 Parthenocissus himalayana var rubrifolia, as the name suggests, is from the Himalaya and is a self clinging, moderate to vigorous self supporting climber, which will grow to 10m in time given suitable support. The very attractive reddish purple leaves and young shoots turn a rich crimson in the autumn and the small highly fragrant flowers in late summer are a haven for honey bees, and are followed by attractive bright blue berries. The plant is far less vigorous and smaller growing than the more commonly available 'Boston Ivy' Parthenocissus tricuspidata or the 'Virginia Creeper', Parthenocissus quinquefolia. The leaves turn colour much later and are more persistant also, so the plant is better suited to smaller gardens. Little did I know when I planted my plant 5 years ago that I was going to be awarded such delight well before the main show begins. The pleasure of the rich autumn colours is still to come, and thanks to the bees, I feel sure I shall be rewarded by a fabulous show of the lovely blue berries in October and November. Unfortunately for me, I do not own the bees, so I will miss out on the Honey.